Samsung has recently launched a new entry-level smartphone called Galaxy J2 2017. Not long ago the smartphone was launched, the company recently reportedly working on another variant of the Galaxy J2. The new device recently appeared on the GFXBench and Geekbench sites with the model number SM-J250G. According to the list of benchmarks, the Samsuang Galaxy J2 variant comes with entry-level specifications. The smartphone will come with a 5-inch wide screen with 720p HD resolution and will be powered with a Qualcomm Snapdragon 430 chipset that has an octa-core processor. For memory, the smartphone comes with 1.5GB of RAM and 16GB of internal storage. As an entry-level smartphone, this smartphone comes with an 8MP resolution main camera and a 5MP selfie resolution camera. 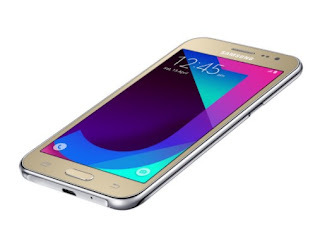 During this Samsung Galaxy J2 is intended for entry-level segment, where the specifications carried by SM-J250G device is quite interesting. 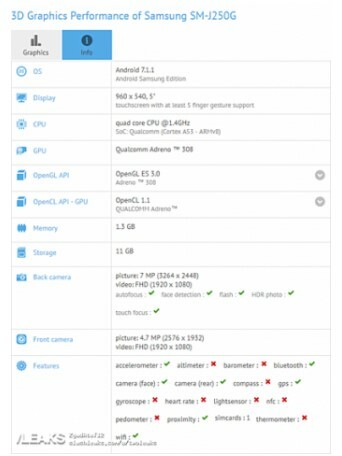 Unfortunately, the list of GFXBench is still running the Android operating system 7.1.1 Nougat, which is certainly expected to get Android 8.0 Oreo update when officially launched by the company. In addition, at this time not known information about when the smartphone will be launched and what price is priced for the entry-level smartphone.